Eclalbasaponin II derived from Eclipta prostrata L. (Asteraceae) has been reported to have anti-fibrotic, anti-bacterial and autophagic activities, but its effect on cognitive function has not been investigated. We studied the effect of eclalbasaponin II on cholinergic blockade-induced memory impairment in mice using the passive avoidance, Y-maze, and Morris water maze tasks. Eclalbasaponin II (10 or 20 mg/kg, p.o.) significantly ameliorated the cognitive dysfunction induced by scopolamine in the passive avoidance, Y-maze, and the Morris water maze tasks. To identify the mechanism of the memory-ameliorating effect of eclalbasaponin II, acetylcholinesterase (AChE) activity assay, Western blot analysis and electrophysiology were conducted. Eclalbasaponin II inhibited the AChE activity in ex vivo study, and the administration of eclalbasaponin II and its metabolite, echinocystic acid, increased the phosphorylation levels of memory-related signaling molecules, including protein kinase B (Akt) and glycogen synthase kinase-3β (GSK-3β), in the hippocampus. Although eclalbasaponin II did not affect hippocampal long term potentiation (LTP), echinocystic acid significantly enhanced hippocampal LTP formation (30 μM). 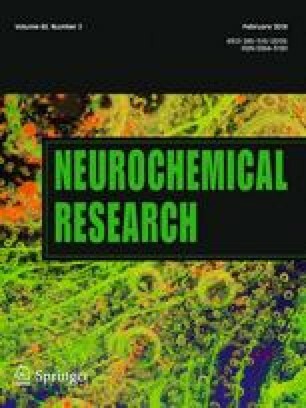 These results suggest that eclalbasaponin II ameliorates cholinergic blockade-induced cognitive impairment via AChE inhibition, LTP formation and the activation of Akt-GSK-3β signaling, and that eclalbasaponin II may be a useful to treat cognitive impairment derived from cholinergic dysfunction. This research was supported by the Mid-career Researcher Program through a National Research Foundation of Korea (NRF) grant funded by the Ministry of Education, Science and Technology (MEST) (NRF-2015R1A2A2A01007838) and by the Basic Science Research Program through the National Research Foundation of Korea(NRF) funded by the Ministry of Science and ICT (NRF-2017R1A5A2014768). The authors declare that there have no conflicts of interest.